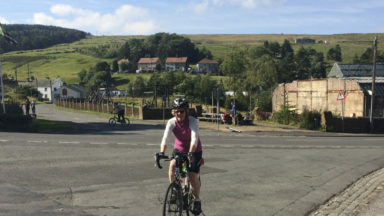 After cycling the Way of the Roses several times while writing her recent guidebook to the route, Rachel Crolla picks out some of her personal highlights along the 170-mile coast-to-coast ride. 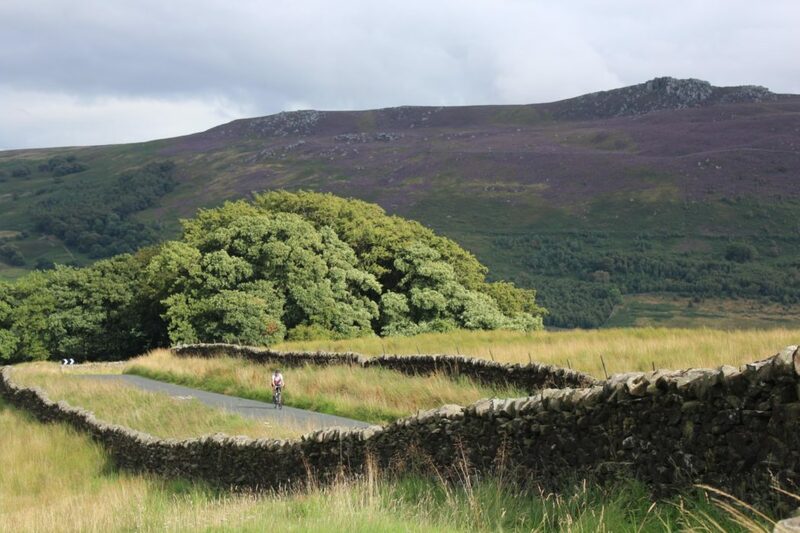 The Way of the Roses can stake a claim to being one of the best long-distance routes in the UK – here are 10 reasons why. 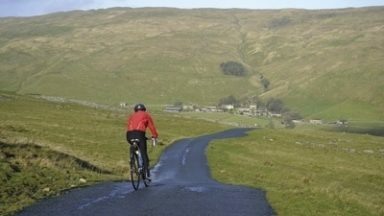 The first climb that Roses cyclists always mention is the spectacularly steep pull up out of Settle on the notorious High Hill Lane. Although this is gut-bustingly memorable, my favourite climb on the route is the marginally less painful one up New Road from Appletreewick. 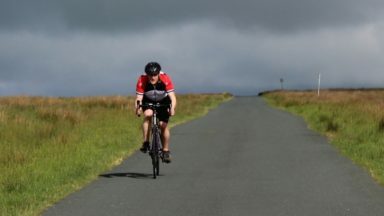 Where High Hill Lane wins on sheer brutal steepness, the Appletreewick climb has the upper hand for having views that you can actually savour, rather than it being a battle to stay in the saddle. 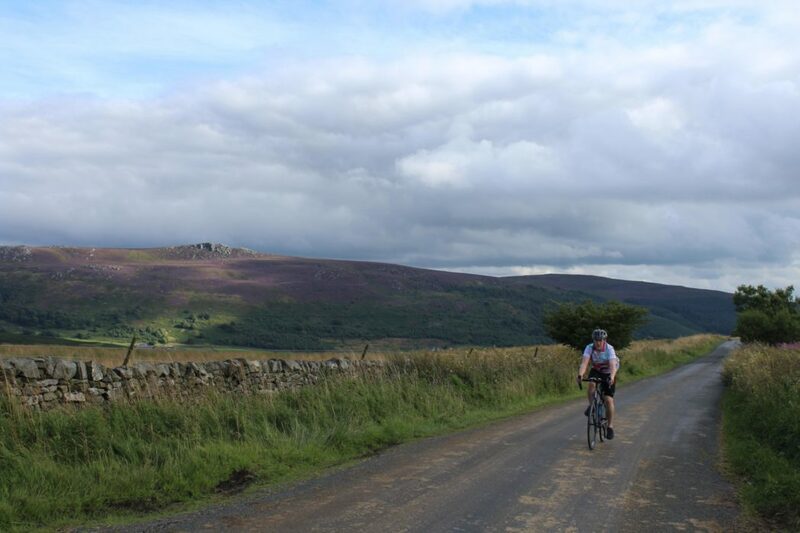 As you climb, a superlative Yorkshire Dales scene unfolds: the craggy summit of Simon’s Seat, the peaceful valley of Skyreholme Beck with the limestone cleft of Troller’s Gill, and the expansive heathery moorland leading to the highest point on the Roses ride near Greenhow. 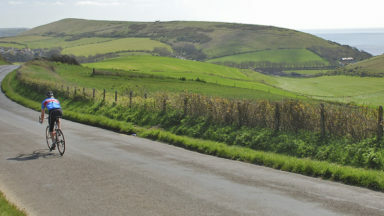 The most enjoyable and satisfying descent on the ride is, for me, the very last of its 170 miles. The coastline has until now been relatively hidden from sight through Bridlington’s Old Town, but suddenly the North Sea looms large, framed by a railway bridge. 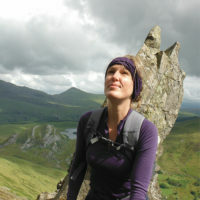 There is an incredible feeling as you realise that you’ve made it! 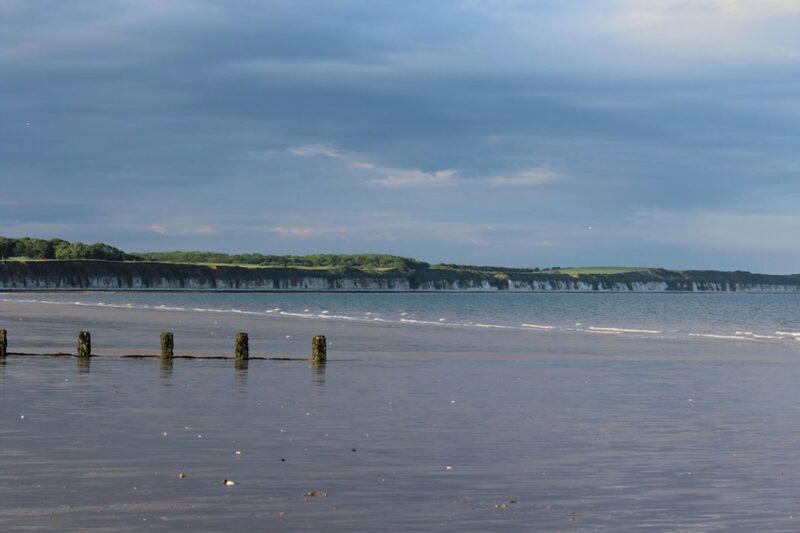 It’s freewheeling all the way down to the wide promenade of Bridlington’s North Beach, where the dramatic white cliffs of Flamborough Head rise up to greet you and there is plenty of time to savour the fact that you’ve just ridden right across the country. 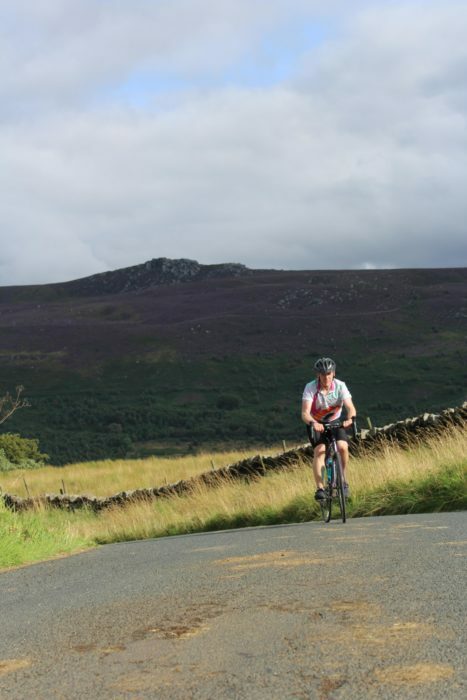 One of the best stop-offs on route can be found at Pateley Bridge, at the bottom of the tricky Greenhow Hill descent. 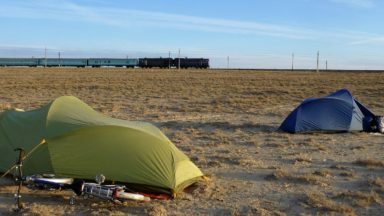 After long miles of hilly terrain most cyclists will feel that they have well earned a rest. 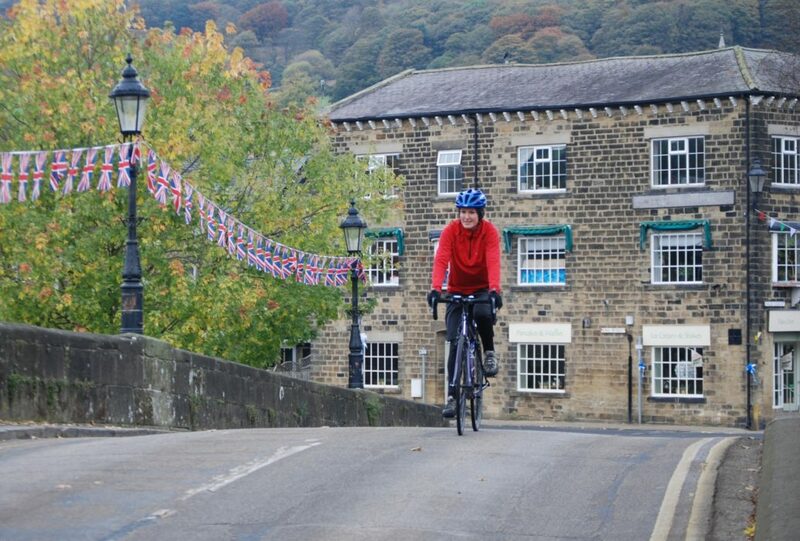 Pateley Bridge is an attractive little town nestled in a dip at a crossing of the River Nidd. The way out of the town climbs once again so it is well worth recharging the batteries here. For me, the teashops beckon, with the chance to recuperate and watch the world go by up and down the main street, where there is also an independent bakery, butcher and what claims to be the oldest sweet shop in the world. The mouthwatering array of pancakes, pasties, pralines and pots of tea I have eaten in Pateley over the years cements the town’s place as top rest stop. 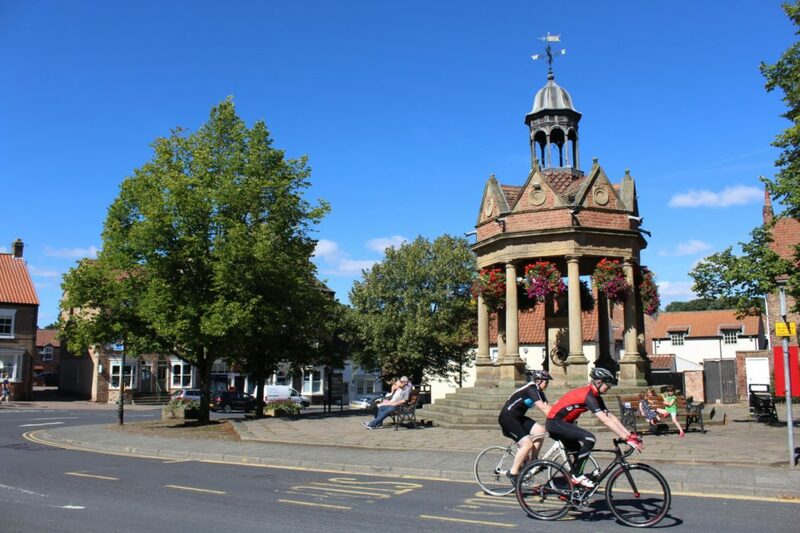 The beauty of the Roses ride is that there are so many genuinely top-class abbeys, stately homes, museums and natural attractions along the route. 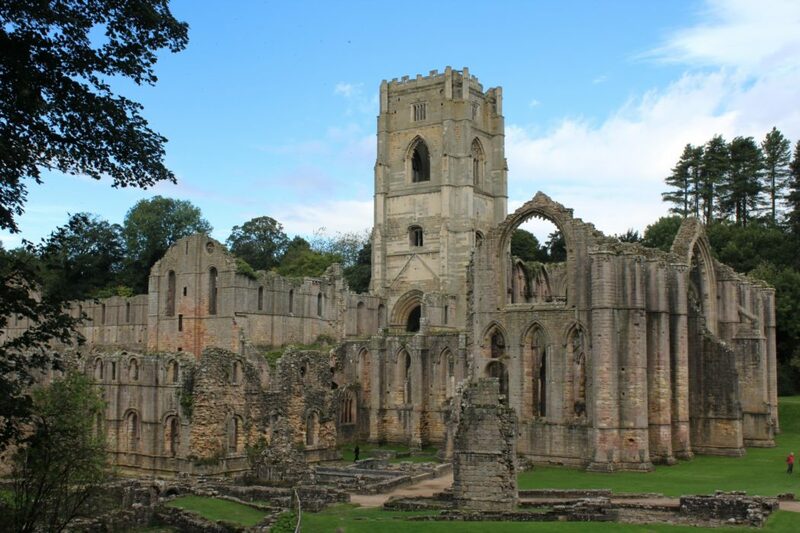 My top stop is the serene and beautiful Fountains Abbey. 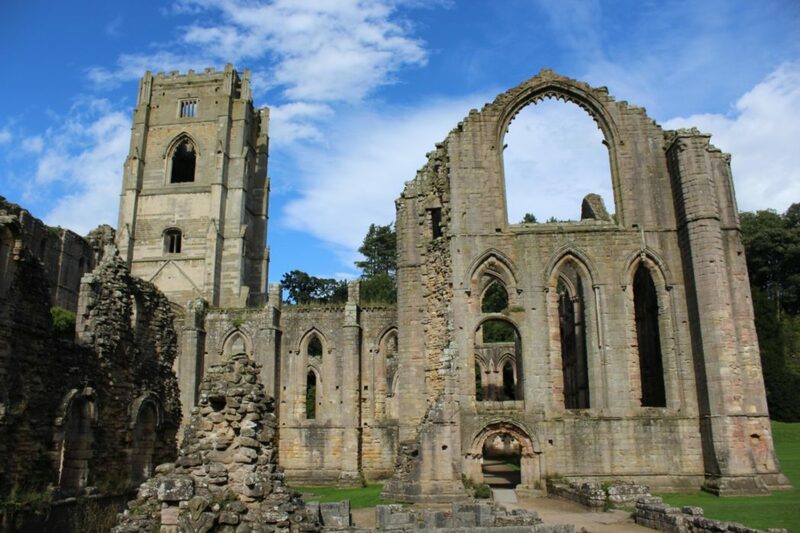 This massive Cistercian ruin dates from 1132 and is one of the largest in Britain. It was famously described as ‘The Wonder of the North’, but it is the magnificent setting that makes it really fantastic – with twin lakes to explore and deer to spot it is well worth getting out of the saddle for an hour or so. 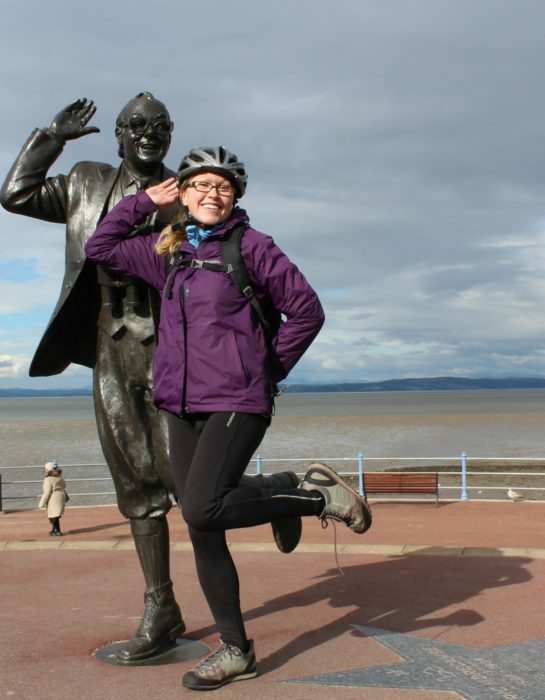 It is an almost obligatory rite of passage for aspiring Way of the Roses cyclists to visit the statue of legendary comedian Eric Morecambe, which is a 100 metres or so from the official start of the route on Morecambe’s windswept promenade. Eric’s trademark pose is begging to be copied and the words of ‘Bring me Sunshine’ will hopefully be a good weather omen for the ride ahead. 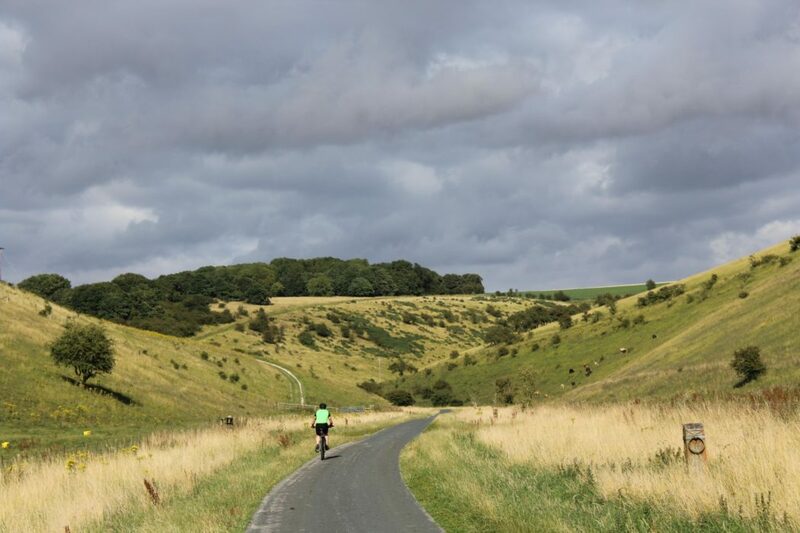 Most of the areas travelled by the Way of the Roses were well-known territories for me, but I was surprised to discover the spectacular cycling tucked away in the Yorkshire Wolds. 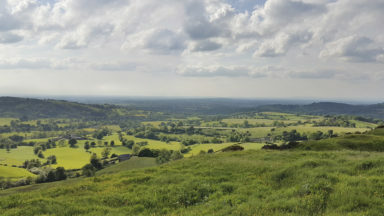 The winding, dry, steep-sided chalk valleys and the lack of traffic make this area great for cyclists and there are some great pubs and cafés and surprisingly undulating terrain here, too. The quirkiest tradition I’ve seen on the Roses route is that of the Ripon horn blower. Every night at 9pm, the blower sounds in the main square to set the watch. This has happened every single night for 1100 years, ever since Alfred the Great bestowed a horn upon Ripon to keep residents vigilant against marauding Vikings. 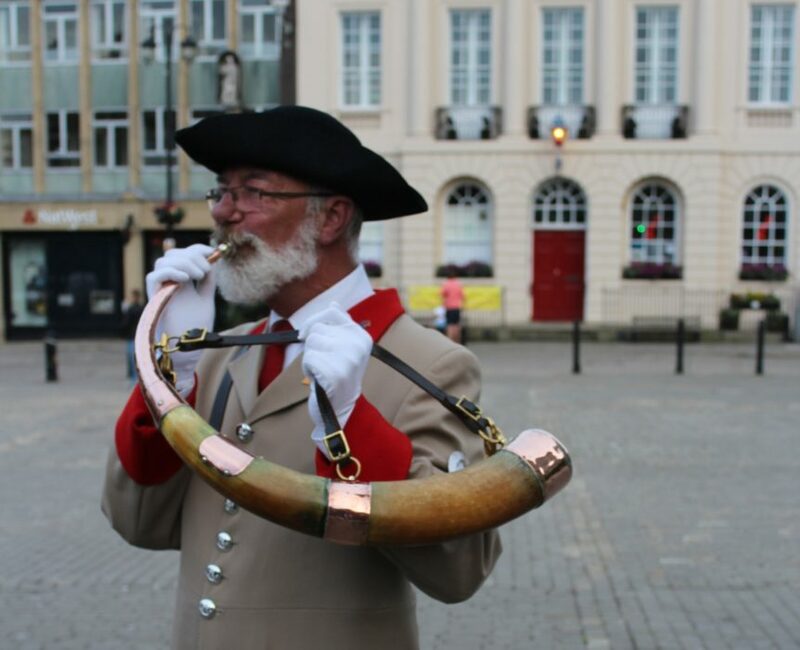 It is a tradition that is taken very seriously in Ripon – if a horn is not sounded then the ghost of the first mayor of Ripon will supposedly visit plague and pestilence on the city. 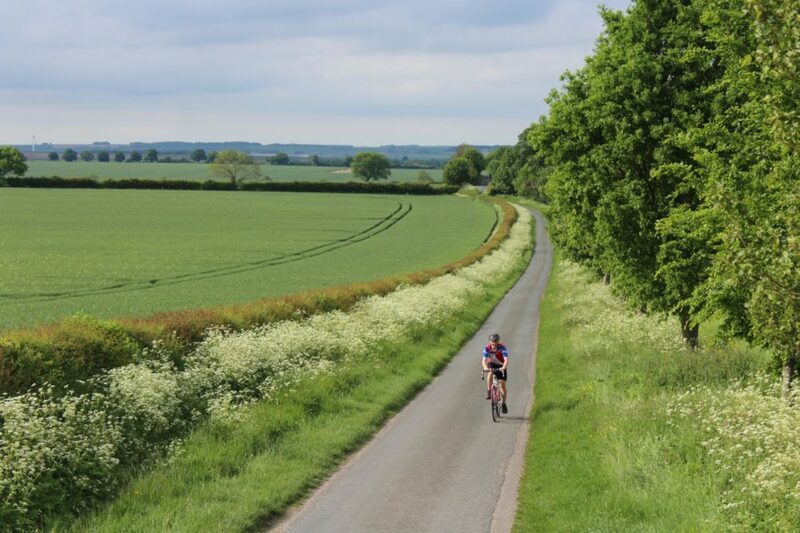 The stretch of Roses route from Ripon to York is great for covering the miles with the utmost ease. The terrain is flat, the surfaces smooth and the signage superb in this area. Roses riders will almost go into autopilot here and will be surprised how much distance they can cover with relatively little effort. The stately grounds of Beningbrough Hall, the rattly wooden planks of Aldwark Bridge and the pristine villages and Roman history of the Vale of York provide the scenic highlights along the way. The huge white rose county of Yorkshire necessarily gets the lion’s share of the Way of the Roses ride. 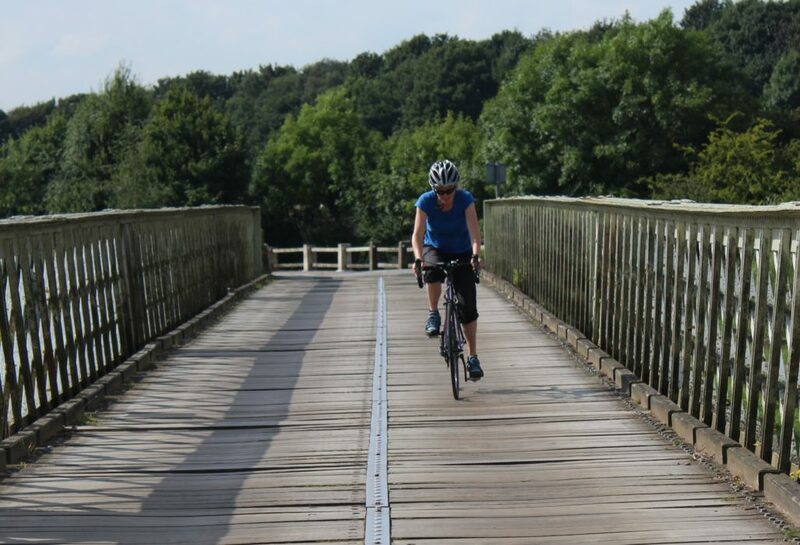 In fact, only the first 17 miles of the ride are actually in Lancashire, with Yorkshire hosting the remaining 153. 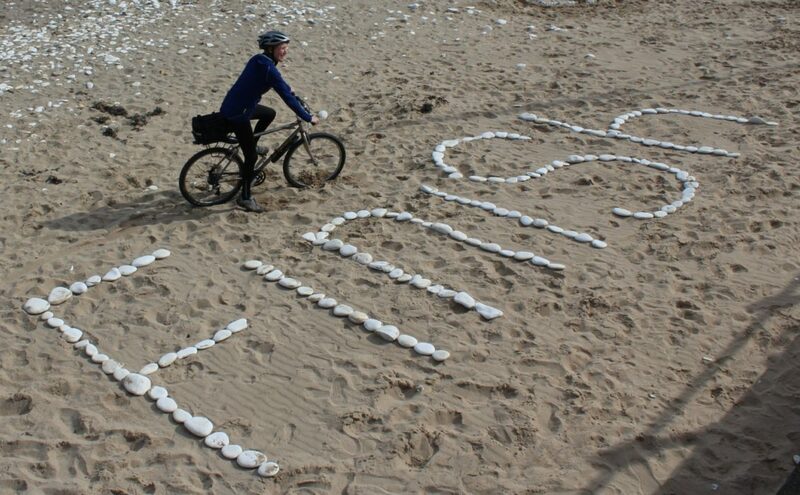 There are plenty of bike-related artworks to spot along the Roses route. Floral bicycles, sprayed yellow Tour de France tributes and a hilltop giant cycling sculpture will all remind riders how much the sport of cycling is loved in this neck of the woods. 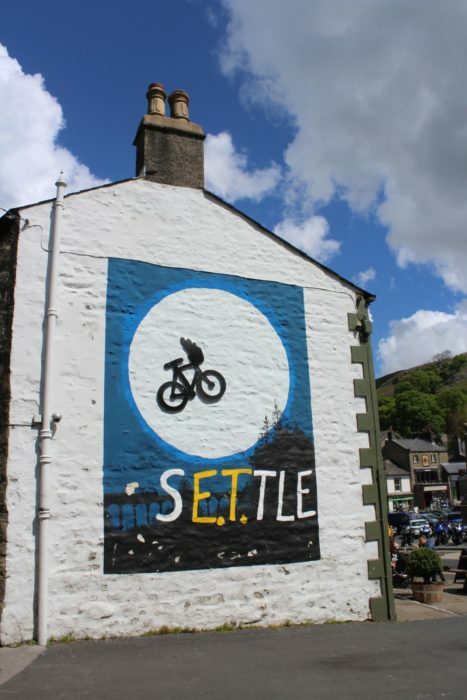 My favourite artwork is on the side of Ye Olde Naked Man café in Settle. It’s a tribute to the flying bikes scene in the classic tear-jerking film ET and incorporates a play on the town’s name. 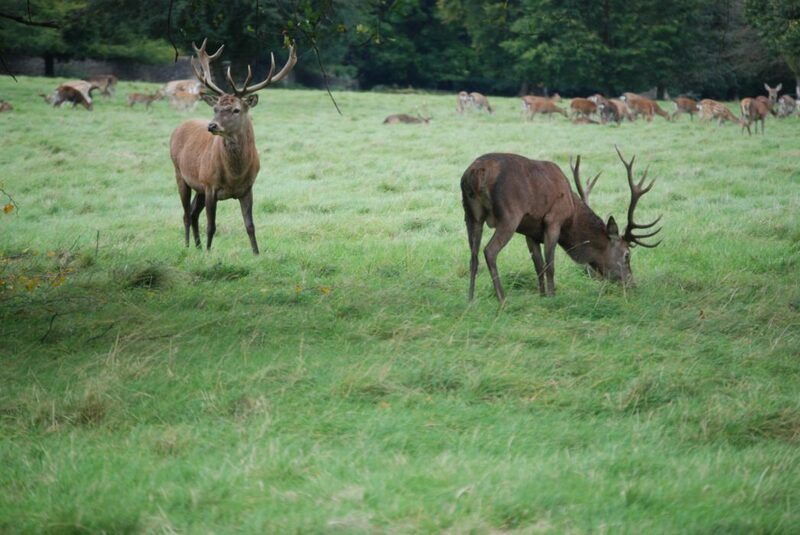 As you zoom down the arrow-straight byway through Studley Royal, keep your eyes peeled and scan the grounds left and right. It’s common for herds of fallow, red and sika deer to wander across the Way here, sometimes even wandering along the tarmac. If you spend half an hour exploring off your bike you’d be unlucky not to see them.